Origination Teams | Financing Solutions | Centurion Asset Management Inc.
Our origination teams are leaders in the marketplace, with the expertise, experience, and resources to offer a full suite of custom financing solutions to meet the needs of our clients. Stephen has over 25 years of experience in various roles in the financial services and investment industries. Most recently Stephen spent 5 years as the Chief Financial Officer of ING Bank of Canada (ING Direct), where he oversaw all aspects of finance, accounting and risk management as well as chairing the bank’s credit committee, several management committees and serving as a director of two regulated mutual fund subsidiaries. Prior to his appointment as CFO, he served as Chief Lending Officer where he oversaw the company’s commercial and retail lending departments and a mortgage book of over $20 billion. 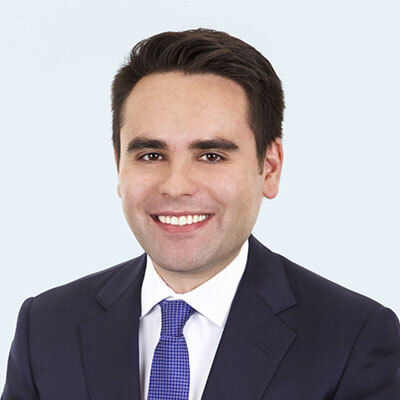 Before joining ING, Stephen was with Hudson Advisors, a private equity firm specializing in real estate debt investments and structured finance, and previously held a variety of progressive lending roles including real estate and construction financing roles with National Bank and North American Trust. He began his career with PWC. Stephen was a Director and Chair of the Audit Committee of Plan International. Stephen is a Chartered Accountant with a double major in management and economics from the University of Guelph. Bob has over 17 years of Canadian commercial real estate experience. He was formerly a Director in RBC’s Real Estate Finance Group, where he successfully led the growth of a construction and term mortgage loan portfolio on income producing properties, development, and construction projects. Prior to this, Bob was the lead of RBC’s branch expansion program across the Greater Toronto Region. He also worked as a real estate analyst at a national grocer, where he was responsible for market analysis, underwriting, and new store sales pro forma for the national grocer’s expansion mandate across Ontario and Western Canada. 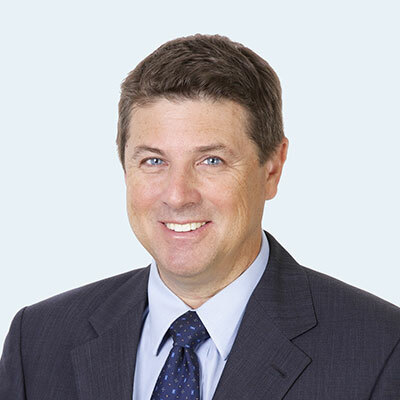 When he joined Centurion, Bob brought a comprehensive understanding of commercial real estate, mortgage origination, underwriting, and funding drawn from his years of experience at Canada’s largest financial institution and national grocer. Ryan has over 15 years’ experience in real estate financing and has worked in multiple areas of the real estate lending industry. He has held various roles such as underwriter, analyst, lender, and Mortgage Broker. In his various roles, Ryan has originated hundreds of millions of dollars in loans and has lent on all asset types in every region in Canada. 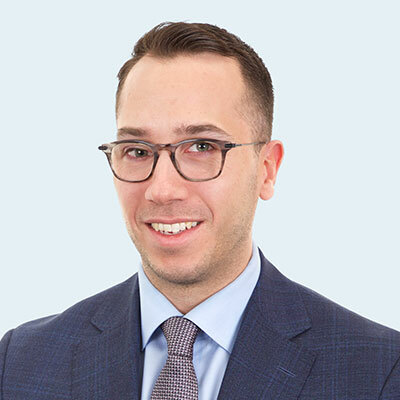 Before joining Centurion, Ryan worked at IC Funding as a mortgage agent, RBC Real Estate Markets as a Senior Analyst, moving to a Senior Account Manager position. Ryan started his real estate career with GE Capital, now Genworth Financial, as a Senior Underwriter. Dan has over 10 years of work experience in the acquisitions, financing, valuation, and asset management of real estate assets across Canada and the U.S. Before joing the mortgage team, Dan led the Acquisitions and Investment Analysis team responsible for deal origination and full due diligence of potential multi-family and student housing real estate assets for six years. During this time, he helped Centurion to grow its portfolio to over $1B in assets under management. Dan also served on the Investment Committees of Centurion Real Estate Opportunities Trust and Centurion Financial Trust, where he reviewed and analyzed over 100 real estate financing and joint venture equity opportunities resulting in over $500M in approved deals. Prior to joining Centurion, Dan held senior investment positions at Revera Inc. and was a member of the Wealth Management Team at RBC Dominion Securities. 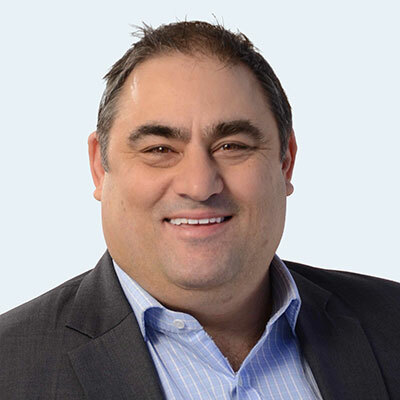 Dan holds a Bachelor of Commerce degree from Rotman School of Management at the University of Toronto and is a CFA Charterholder. Henryk has over 12 years of experience in real estate investments and lending with a focus on all asset classes in North America and Europe. 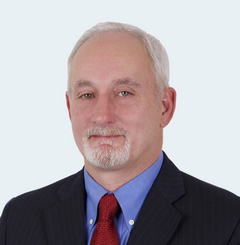 Prior to joining Centurion, he was a key contributor to Timbercreek’s debt investment group, where he led the underwriting and execution of transactions, managed partner relationships, and originated nearly $100 million of new loans in 2018, consisting primarily of value-add and short-term bridge opportunities. Before Timbercreek, Henryk worked in Private Equity Real Estate at Heitman in London, UK and with Oaktree Capital in Frankfurt, Germany, where he was responsible for sourcing, analyzing, structuring, and completing due diligence on new real estate acquisition opportunities. Henryk holds a Bachelor’s degree in International Business from the European Business School (EBS) and a Master’s degree in Business from Ecole Superior de Commerce Paris (ESCP). Vijay holds a Bachelors degree in Electrical Engineering from McGill University, an MBA in Finance from Dalhousie University, and is a CFA Level III candidate. Prior to joining Centurion, Vijay worked at the Bank of Nova Scotia for two years as a Manager within their Commercial Real Estate Lending Group. In his time at the Bank of Nova Scotia, Vijay underwrote over $1 billion of construction, term, and bridge loans for all real estate asset classes and managed a loan portfolio of over $350 million. 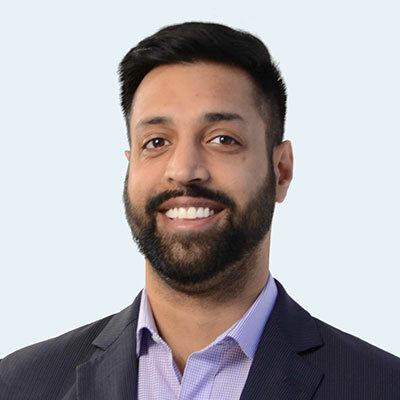 Prior to his time at the Bank of Nova Scotia, Vijay worked at Aon Hewitt as an Analyst within the company’s Investment Consulting practice where he completed investment fund research for all asset classes and provided institutional clients with investment solutions. Daryl's investment and financing experience spans over 35 years and encompasses the management of equity and debt financing portfolios. Most recently, Daryl was the President of Evergreen Capital Group, a consulting firm involved in providing corporate finance, business transition, as well as expansion- and succession-related advisory services to mid-market clientele. Prior to forming Evergreen, he managed the private equity portfolio of Trimel Investments Inc., with the portfolio comprising investee companies in a number of diverse sectors throughout North America. 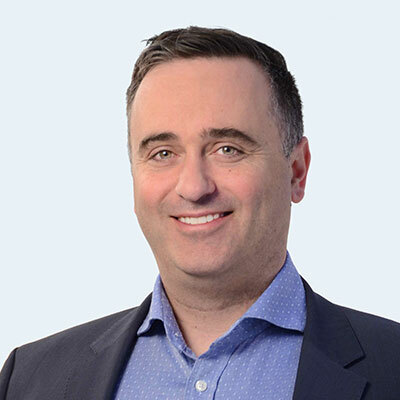 Before Trimel, Daryl held a variety of lending roles in The Bank of Nova Scotia (Scotiabank), where he managed a senior lending portfolio, which included leading and arranging a variety of specialized and syndicated financing. Over the years, Daryl has acquired expertise in a variety of sectors, including consumer products, specialty pharmaceuticals, manufacturing and distribution, transportation and logistics, and professional sports. He received his Honours Bachelor of Arts in Commerce and Economics from the University of Toronto, Ontario, Canada in 1981. William Aust has over 25 years of financial and investment experience. While performing progressively responsible business development and credit adjudication roles within a leading Schedule 1 Canadian Chartered Bank, WIlliam established a proven record of assisting commercial enterprises across numerous sectors and regions. His collaborative decision making approach, and his ability to analyze and identify risk mitigating factors beyond the numbers, led to the repeated success of his financial partners. William holds Chartered Financial Analyst (CFA) and Institute of Corporate Directors (ICD.D) designations, and a Master in Business Administration. 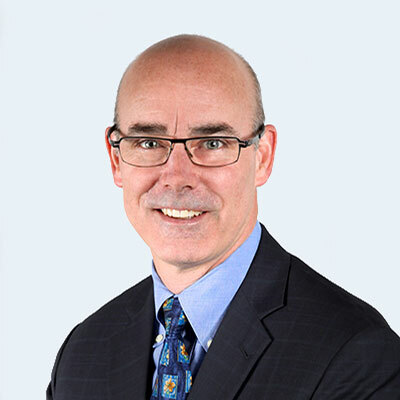 He has contributed to the community, including through Board appointments to regional hospital and economic commissions, the New Brunswick Securities Commission, and the Parole Board of Canada.